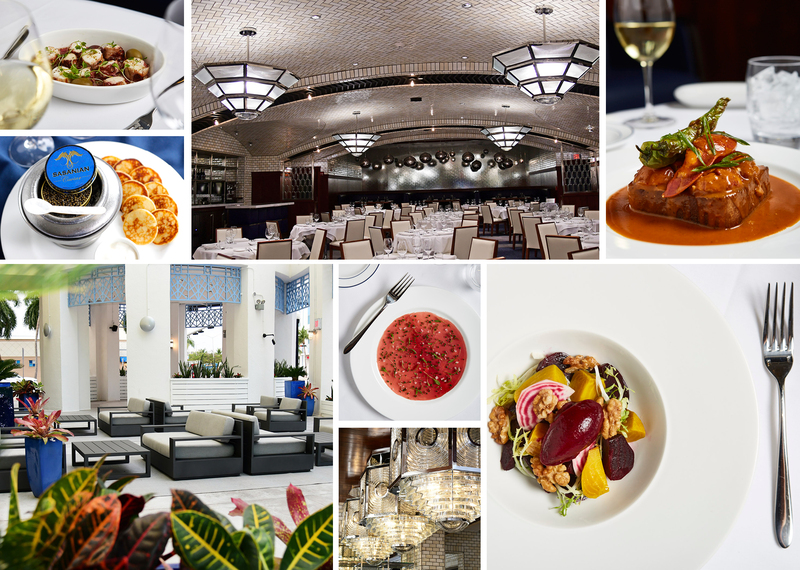 Stay up-to-date on what's happening at Lobster Bar Sea Grille Miami Beach. Three incredible courses for only 49. Specialty cocktails + delicious light bites make the best happy hour on the beach. Host a party your guests will never forget in one of our private rooms! Three Courses of Favorites. 49. "Perhaps no other restaurant in South Florida offers up such a bounty of seafood delights." "You'll want to grab a date and proceed directly to Lobster Bar Sea Grille. " "We weren't planning on eating here but noticed it on the way and decided to stop by. The place itself is absolutely gorgeous from the arched, subway tile lined ceilings to the magnificent lighting fixtures throughout. The drinks were delicious as were the oysters. The real star of the evening was the service though. You felt so special & well cared for & everyone was so nice & happy. I will absolutely be back for a full dinner next time. wonderful place!" This has to be the best restaurant in South Beach, or hell, in the country. Love this place and will be back 1000 times more." "This is a fantastic restaurant. Top notch food and peerless service. I can't say enough good things. If you are looking for a special meal...look no further." "The Warm Chocolate Cake was the winner. It’s made with 62% Peruvian chocolate served with a hazelnut praline filled with the freshest vanilla bean ice cream I’ve ever had. Overall it was a wonderful experience with top notch service." "We're so mad this is our first time in Miami and this restaurant is probably going to ruin our eating out experience here...Now there is not going to be a single restaurant we try that will be able to live up to what we experienced here." "Food was great, but the service was... Michelin stars excellent."